Services - Construct Associates, Inc.Construct Associates, Inc. If you are looking to work with a firm of the best home builders in MA, then look no further than the professionals at Construct Associates, Inc.
Construct Associates provides residential and light commercial design and construction services in Amherst, MA, Northampton, MA, and the surrounding areas. Our partners are involved in all aspects of design, construction and project management to provide the right balance of design and budget to ensure client satisfaction and maximize value for our clients. We offer residential renovations and construction for new homes and home remodeling. Our services include kitchen remodeling, bathroom remodeling, custom cabinetry, residential additions, and historic renovations. 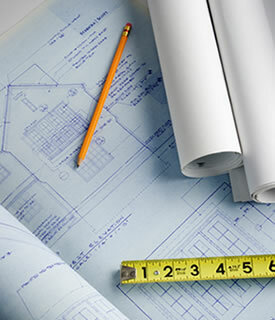 Construct provides light commercial remodeling, additions, renovations, and new construction projects. We specialize in creating innovative retail environments and custom design and construction for light commercial projects. The process begins with an initial meeting to discuss the client’s goals and requirements for the project. We discuss issues related to design requirements, zoning and building codes, budget, and the site conditions. Often, our in-house design service is more cost effective than hiring a separate architect. In addition, we do collaborate with outside designers and architects to streamline and facilitate the process. Please browse our website to learn more about our design and construction services for residential and commercial additions, renovations, home remodeling, and new construction in Amherst, MA, Northampton, MA, and the surrounding areas. View photographs of some of our residential homes and additions, kitchen remodeling, bathroom remodeling, renovations, decks, sunrooms, and other projects in our Gallery and contact Construct Associates today at 413-584-1224 to discuss your project. This was our first renovation experience, and Construct never made us feel naive or intimidated. Bob was happy and able to explain issues thoroughly, and clearly showed expertise. I feel as if Bob and Terry took on the role of mentors during this new experience for our family, and I am very thankful that we found and used Construct. I look forward to working with Bob and Terry again for any and all of our future projects!